Updated 04/03/2019: New stuff for your Limeies check it out in "Mike the Motorhead"!!! The BBC was founded to help the British Bike enthusiast find other people with the same interests. My name is Joe. My E-mail address is joes_garage@yahoo.com I will be updating this periodically. Local rides will be posted in the Local Events Web page. You do not have to have a British Bike to join us. If you have any mechanical or electrical problems that are plaguing your steel steed, feel free to E-mail me. Mike the Motorhead will return you his answer or request one from the readers. Be patient , this is not a job, it's for fun. 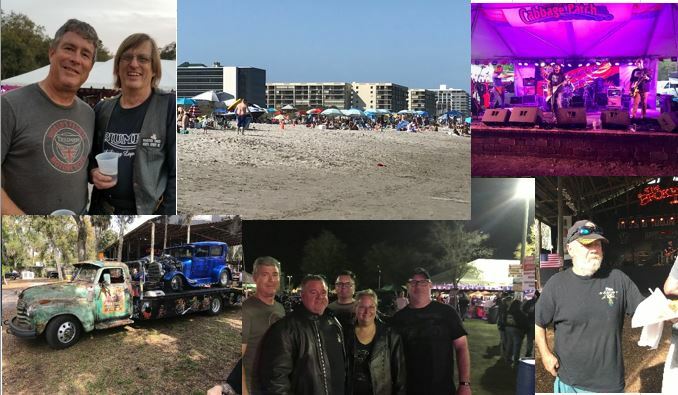 Bike Week 2018, More information in the News page.